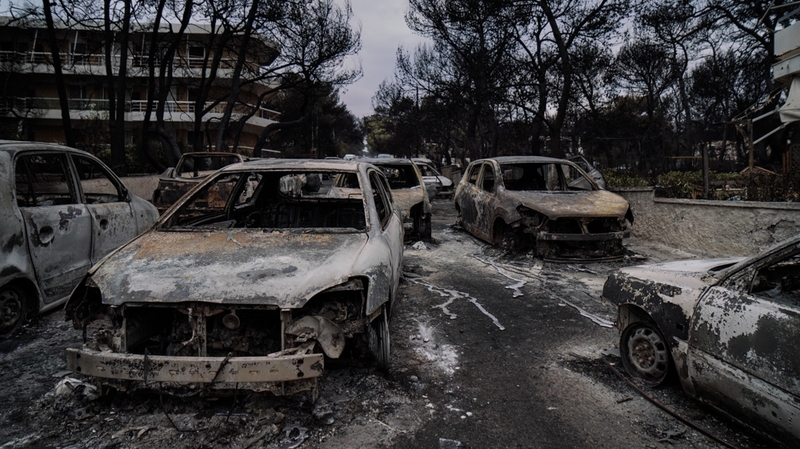 More than 60 people died as the wildfires crisscrossed through the resort areas, according to local officials in Rafina. Some 150 others were injured and upwards of 700 were rescued. Down the street from the taverna, police and rescue workers mull around an intersection. Behind them, at least 26 bodies, among them children, are identified and placed into body bags. Emergency crews found them lying close to each near a steep cliff overlooking the sea. 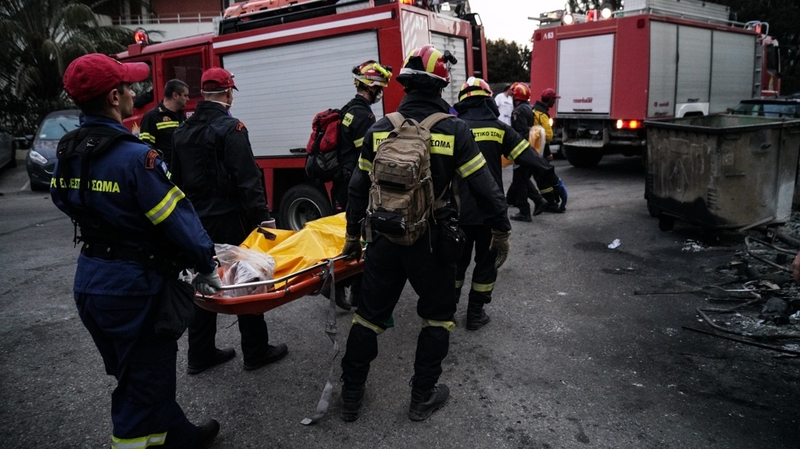 “They had tried to find an escape route, but unfortunately these people and their kids didn’t make it in time,” Nikos Economopoulos, the head of Greece’s Red Cross, told the local Skai TV. 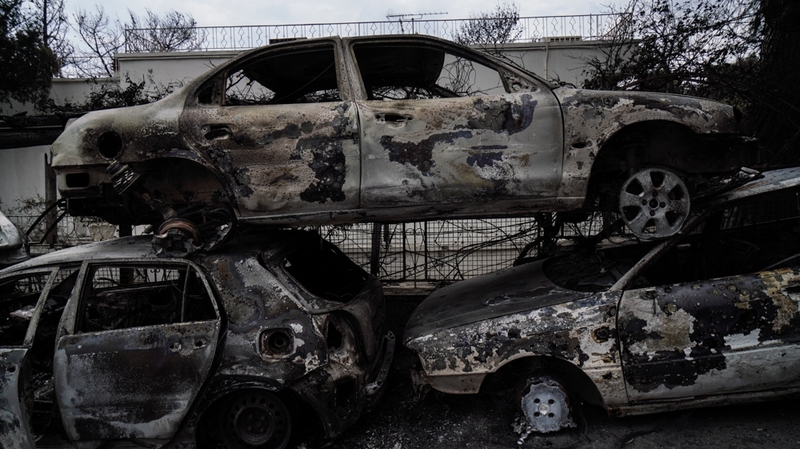 Prime Minister Alexis Tsipras said the country is “going through an unspeakable tragedy”, declaring declared three days of mourning. Andreas Panagiotaros, a 38-year-old dentist and resident of Mati, drifts slowly across an ash-blanketed lawn and took a seat on the pavement. Panagiotaros says he stayed in the area to help as rescuers evacuate people fleeing the catastrophe unfolding around them. These are pictures I will never forget in my life … It’s unbearable to realise that 20 minutes earlier this person was alive.